With over 50 lenders to choose from, I will get you the best possible rate that fits your specific mortgage. Don’t believe me? 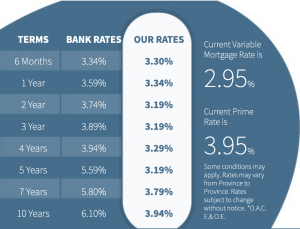 Click on the links below to see current mortgage rates with just a few of the financial institutions that we deal with.